WineRacks by Marcus manufactures high quality wine racks offering unique wine storage solutions satisfying the needs of collectors, restaurants, food service operations and every distinctive Wine Connoisseur. In business since 1998, WineRacks by Marcus was initially formed to provide wine storage solutions for customers of a large wine storage facility. 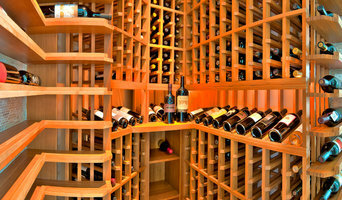 The aluminum wine racks won acceptance in the wine storage facility. They were first exhibited at the California Restaurant Association’s, San Francisco Expo in 1998 and the 1999 NRA (National Restaurant Association) Show in Chicago. The racks were received with great interest. We have since shipped WineRacks by Marcus to collectors, restaurants, hotels, and private clubs in the United States, Canada, Mexico, Europe, Dubai, and China. WineRacks by Marcus also offers serious collectors an unique combination of functionality and esthetics. WineRacks by Marcus treats your wine as it was meant to be treated adding to the enjoyment of fine wines and preserving the value of wine as an investment. Your Mead Valley, CA wine cellar professional also will oversee the preparation of the target space (moisture barriers, ventilation and so forth) as well as the construction process. Wine cellar builders select and install the necessary equipment and surfaces, from racks and cabinetry to flooring and lighting, and often handle special security systems to protect a homeowner’s collection.